The importance of data can be critical. For private individuals, losing digital records and files can be tragic; for businesses, it can mean having to shut down operations, perhaps permanently. In both cases, data backup is paramount, but businesses often have an additional requirement: they have to be up and running again rapidly, if they want to avoid severe financial impact. The more important IT is for an activity, the more critical it becomes to prepare for effective disaster recovery. 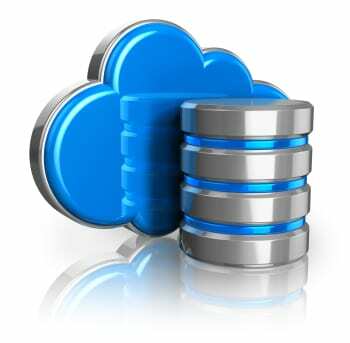 Online data backup can help both in securely and conveniently safeguarding and restoring data. If you’ve watched Hollywood disaster movies, then you may well have seen dramatic scenes of floods, fires, hurricanes, earthquakes, tsunamis and the like. While it’s true that these spectacular events can occur, most IT failures are caused by much more commonplace problems – hardware failures like disk crashes, or software problems such as computer viruses or user errors, for example. One of the big advantages of data being backed up to remote online data storage facilities is that you automatically safeguard your data against most or even all of the risks mentioned above. While copying files onto other computers or storage media locally gives you some protection against hardware and software problems, you’d have to put those other devices into a fireproof, waterproof safe if you wanted to be really sure that your data would survive any accident. An external disk drive or DVDs that go up in flames at the same time as your PC mean that your local data backups will ultimately have been useless. Using online backup rather than trying to cope with adding external disk drives to the PCs in the office is a big step in the right direction. However, for effective disaster recovery (should you need it), you also a need a plan. The plan has to state the objectives you want to achieve in terms of data restore and return to an acceptable level of operation, and explain how this will be done and who is responsible for doing it. The larger a company is, the more likely it is to have someone dedicated to this function. But small companies with just a handful of employees can also make a short, simple online backup plan that can be put into action if their data becomes locally inaccessible. There are two measurements you can make and objectives you can fix to make sure your disaster recovery plan is aligned with your needs. The first measurement is for the maximum acceptable time before your IT systems are up and running again (the ‘Recovery Time Objective’). This will vary according to your type of activity. The second measurement is of the amount of data that you can accept to lose (corresponding to the ‘Recovery Point Objective’). Again, this will vary according to your activity, but businesses often measure this in hours, sometimes even in minutes. If you can’t afford to lose more than the data recorded during the last two business hours, for example, then your online backups may need to be scheduled to run every hour, for safety’s sake. Whatever solution you decide to use to back up your data, test it. Make sure that you can not only safeguard your data on a regular basis, but that you can also recover it at any time. Think about the various things that might stop you from being able to recover data backups that you made locally (burglary and theft might be examples) and consider how online backup could avoid such problems. When you’ve made your data backup choice, then try simple exercises to get your data back from the backup storage you’re using. And above all, make sure that you can then work with the files that you’ve restored. Remember also that even if online backup is a surefire way of protecting your data, you still need to restore files to your own computer or IT systems. Several providers also offer ‘virtual’ IT systems facilities – in effect, they offer remote computing facilities on which to run business operations, at least while you’re getting your own IT operations back to normal. This is a step beyond online backup, but may be worth looking into depending on the size and the nature of your activity.